TORONTO, ON--(Marketwired - May 11, 2016) - dynaCERT Inc. (TSX VENTURE: DYA) (OTC: DYFSF) ("dynaCERT" or the "Corporation") is pleased to announce a study to provide off-grid solutions to the worldwide housing energy market using solar power, Hydragen™ technology and advanced sustainable storage systems including batteries and hydrogen fuel cells. The initiative is centered on dynaCERT's proprietary Hydragen™ technology which is unique in its ability to generate pure hydrogen and oxygen separately and on-demand. There is a recent convergence between politics and climate change as witnessed by the Paris COP talks held in December 2015 as well as Canada's Prime Minister Justin Trudeau's commitment that Canada reduce its carbon footprint. It is an opportune time for dynaCERT to capitalize on this commitment to reduce carbon emissions and to access the Canadian and Ontario government grants and loans. As such, dynaCERT is positioning itself to become a world leader in research and development of hydrogen based technology solutions and receive available non-dilutive government funding. Our technology will be eligible for end user carbon credits, which has gained significant momentum over the past few years. dynaCERT's Hydragen™ technology will be used to produce pure hydrogen gas to recharge the hydrogen fuel cell that will be part of this "cut the cord" solution to provide renewable energy to the housing industry. 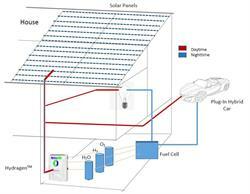 Solar panels and/or the hydrogen fuel cell will power the building by day using an energy optimization software. At night, the rechargeable batteries would then take over and activate the Hydragen™ unit which will keep the hydrogen fuel cell operating by providing the required hydrogen gas. 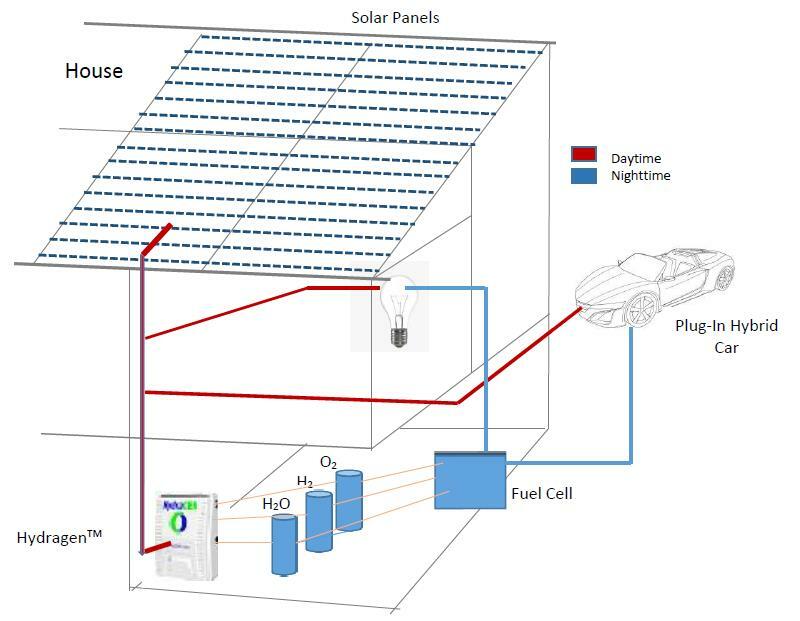 The solar panels would also maintain the rechargeable batteries at full capacity until they are needed at night and the cycle repeats itself. Further, the pure oxygen which is also produced by the Hydragen™ unit would be used to improve the air quality in the building. Members of the Renewable Energy Committee will include Dr. Richard Lü, an independent director at dynaCERT, has more than 20 years of global experience in the energy industry. Dr. Lü has been involved in managing public listed companies in the area of silicon production, solar cell manufacturing and solar panel production. He has led many initiatives in energy conservation, demand response, distributed energy and other sustainable developments. Dr. Lü heads a major solar power company developing and operating solar PV projects in Canada and the USA. Working with Dr. Richard Bower, a physicist and solar energy expert, this initiative will focus on the research and development of potential applications of renewable technologies to meet the challenges of climate change. Mr. Ronald Perry, dynaCERT director and member of the renewable energy committee, stated that, "Due to this recent worldwide convergence of politics and climate change together with available government funding, dynaCERT is in the right place at the right time. This initiative is a timely project as we feel it would be eligible for government funding, which we intend to apply for immediately."